Condition : Visually excellent, power supply tested, digital circuits good but analogue voices need servicing. 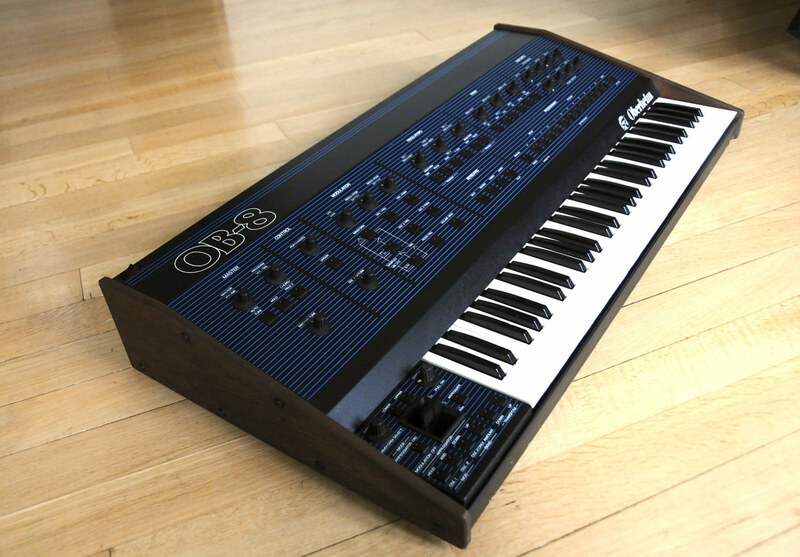 The Oberheim OB-8 is a vintage analog polysynth launched by Oberheim and discontinued in 1985. It features 8-voice polyphony and is highly programmable, making it a popular classic. It features a 61-note piano keyboard, LFO modulation, filters, external cassette storage, MIDI capability and 120 memory patches, and used the Z80 CPU. 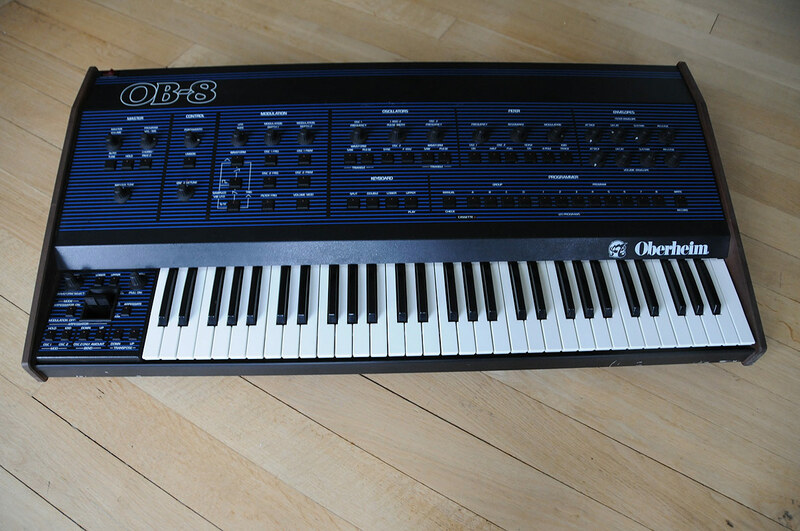 The OB-8 was the last of the classic OB series that included the OB-1, OB-Xa and OB-X. Warm and rich sounding it was released just before MIDI debuted. It is totally programmable and loaded with powerful analog sounds and style. Dedicated knobs, sliders and a traditional layout make programming simple and very hands-on. Each individual voice can be de-tuned for a thick (or weird) sound. Syncable VCOs and a nice 8-note arpeggiator are also on-board. It has the OB-Xa’s switchable 2 or 4-pole VCF filter with ADSR. Tons of LFO modulation controls and effects are possible. 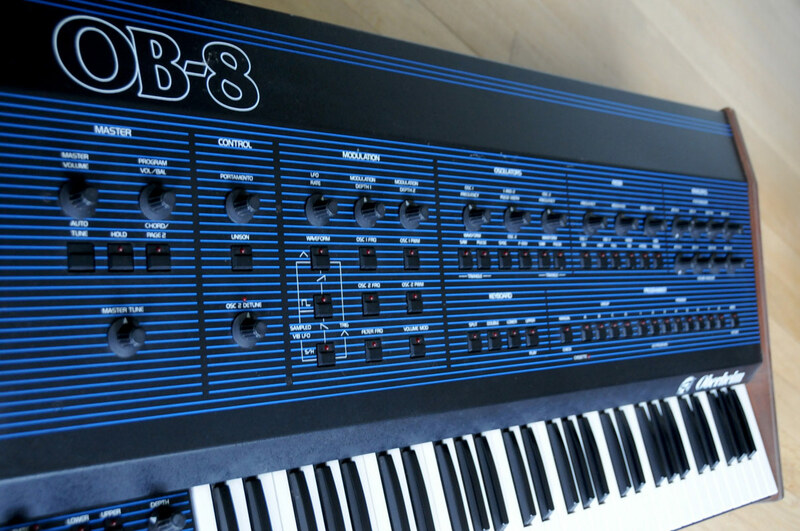 The OB-8 also introduced a second layer of programming functions – hit the “Page 2″ button and all front panel controls were assigned to an entire second set of parameters. The earliest models did not label these hidden ‘Page 2’ functions on the front panel, but that was rectified on later models. Up to 120 patches of memory storage were also available and 24 additional patches are available for doubled/layer presets.